From one colour up to full-colour printing, our experienced team will help you choose the format, size, paper and ink colours for your print project. Our in-house printing and bindery equipment combine to address the fast turn around requirements of many of our clients. From quality printing to finishing in the bindery, die-cutting and embossing, Woodstock Print & Litho will gladly deliver your completed project right to your doorstep! 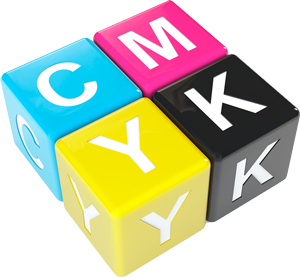 What is 4-colour, CMYK Printing? We often get asked about 4-colour printing, and why is it called full-colour? What if I want more than 4 colours on my final project? 4 colour printing means that we can make any colour of the rainbow, but we mix 4 original ink colours to get your final colour – it’s like mixing paint, but we do it with ink CMYK: Cyan, Magenta, Yellow and Black. With the combination of these 4 colours, we can print any colour you’d like. 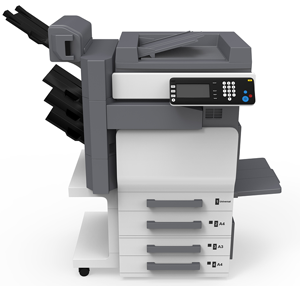 The reason we ask if you’re looking for 4 colour printing is that the alternative would be 1 colour printing – black and white, or even blue and white. 1 colour printing saves on ink costs and affects the final quote for your project. That’s why we ask!